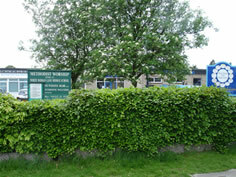 The ‘Church in the School’ is a supportive local fellowship, meeting at White Woman Lane, Middle School. Situated near the border of Sprowston and Old Catton, we are set alongside new housing and see opportunity for further development of local community links. There is no facility to receive mail at this address. Please contact the Minister. Website: Visit this website Coffee Mornings and House Groups, dates as announced. Sunday services are also held with local residents at “Redmayne View” at 6.30pm, on the third Sunday each month. We offer a warm welcome to all who may wish to join in these special occasions.